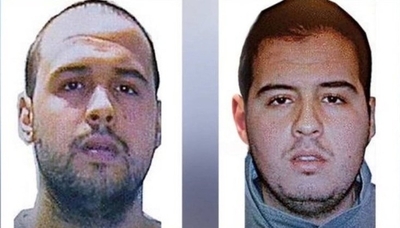 Most of the estimated 30 deaths in Tuesday's bombings in Brussels, Belgium were caused by suicide bombings by brothers Brahim and Khalid el-Bakraoui. As I have written extensively, prisons can serve as incubators for radical Islamists. What we see happening today isn't new, muslims have been engaging in this type of warfare along with other types of warfare from the inception of islam. Today, they are using the same warfare against the world they have always used and it has spread because people choose to ignore the facts, I guess because when the facts are stated then other people call you names. islam was , is and will continue to be the problem. Prison isn't the problem, radicalization isn't the problem, being brothers isn't the problem, being a follower of islam is a symptom of the problem, the problem is islam.